Born in 1932 in Gemrany, Edgar Reitz studied theatre science, German philology, art history, and publicism in Munich. He published some poems and short stories during early 1950s, co-edited the literature magazine « Spuren ». In 1952, he took acting lessons and co-founded a student theatre which became established as the university’s studio stage in 1954. 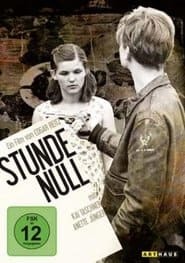 He assisted (camera, editing, production) in several films during mid-50ies, became script adviser in the educational film production company ‘Gesellschaft fuer bildene Filme (GBF)’ in 1957. He started directing his own documentaries, industrials, and short movies in 1959. In the same year, Edgar Reitz, Herbert Vesely, Haro Senft, ‘Raimond Ruehl’, and Franz-Josef Spieker founded ‘Doc 59’ aka ‘Municher Gruppe’ which prepared the ‘Oberhausener Manifest’ of 1962. From 1962-65, Reitz directed a department at ‘Insel-Film’ production company. In 1963, Edgar Reitz and Alexander Kluge initiated the foundation of the film department at ‘Hochschule fuer Gestaltung’ (College for design) in Ulm. Reitz’ first feature, « Mahlzeiten » (1966), is among the many debuts in the aftermath of ‘Oberhausen’ which shaped the term ‘New German Film’.